Trusts can be among the most useful instruments available to the tax, financial and estate planner — and they may be created for a variety of reasons, some of which relate to performing functions and providing protections for the beneficiary, and others of which relate to saving income and estate taxes or avoiding probate. Unfortunately, many tax and accounting professionals have only limited formal knowledge about the roles, types and uses of trusts — even though they are becoming increasingly popular vehicles to transfer and protect wealth and are becoming more commonly encountered in general tax practice. 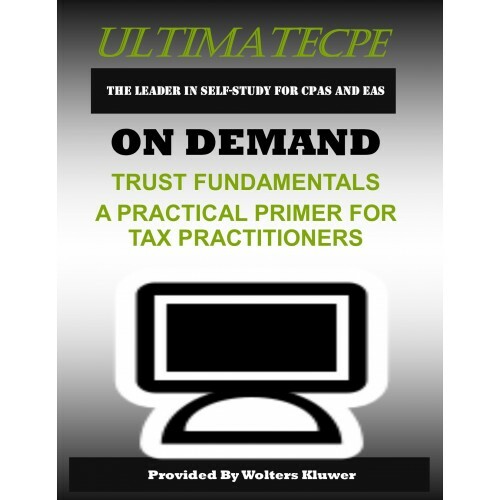 Presented by noted estates and trusts practitioner, author and educator, Steven G. Siegel, J.D., LL.M., this two-hour CPE course provides a practical primer on trusts, identifying and describing the most commonly used trusts, and explaining how they are used to achieve a range of objectives for clients. This insightful session is designed for the tax practitioner with a beginner's knowledge of trusts and how they can be used to preserve, protect and transfer wealth. Mr. Siegel will discuss the fundamental concepts, terminology and uses of trusts and explore the advantages and disadvantages of different types of trusts, so you feel more confident in your basic practical knowledge in client discussions regarding trusts. You won't want to miss this program with Mr. Siegel, an outstanding speaker and presenter, and his practical explanations, tips and suggestions on trusts. All tax preparers, accountants, attorneys and financial planners who advise clients on tax, financial and estate matters will benefit from Mr. Siegel’s discussion and the comprehensive and detailed outline he has prepared for your later study and reference. Who the parties to a trust are — trustor, grantor, settler, donor, trustee, beneficiary, etc. 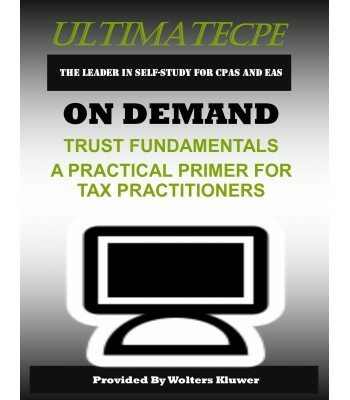 Key problems that tax practitioners may encounter with client trust-related matters, and more!